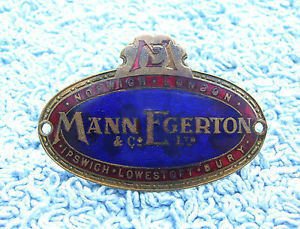 Mann, Egerton & Company Ltd.
Mann, Egerton & Company Ltd. was an automotive and aerospace company headquartered in Norwich, United Kingdom. 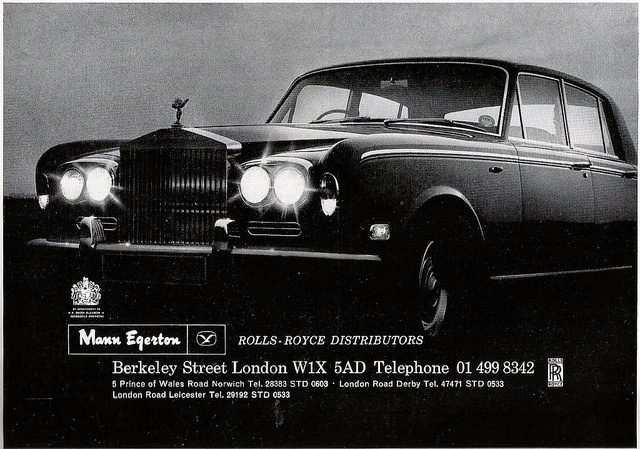 During its history the company was variously active in automotive retailing, aircraft manufacturing, automotive coachbuilding and electrical services. 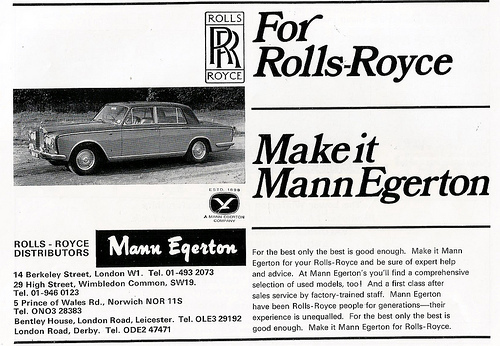 It was formally founded in 1905 by Gerald Mann, an electrical engineer, and Hubert Egerton, although the two had been working in partnership for a number of preceding years (the “Tern” logo used in the 1960s was often accompanied by the statement “ESTD. 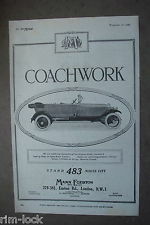 1898”). 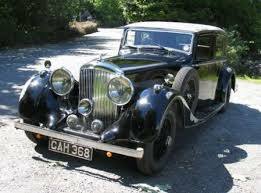 Besides car dealing the company continued electrical installation work. 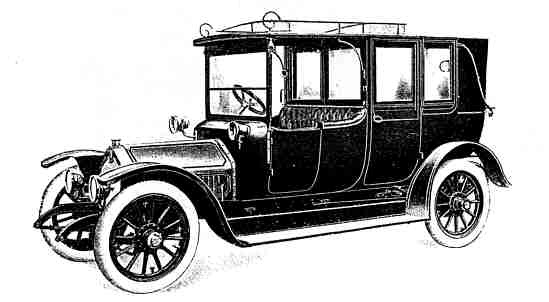 In 1909 the company supplied its first custom built car body for a Rolls-Royce. 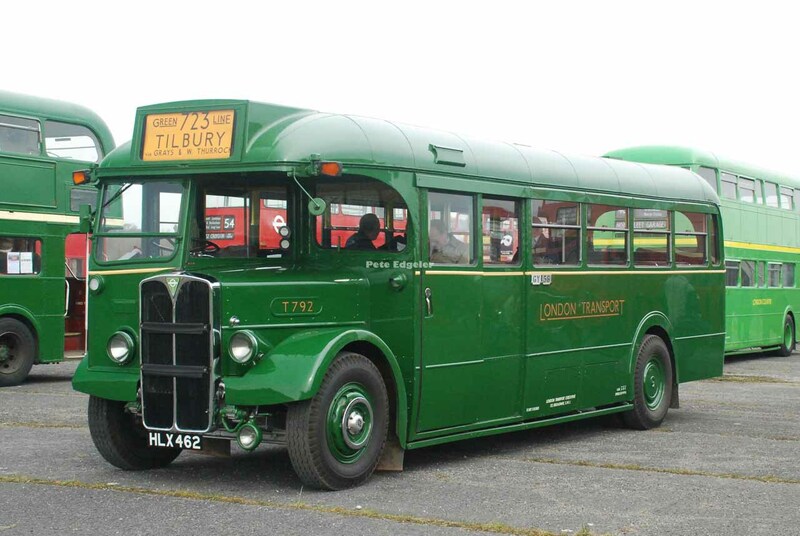 By 1913 it had branches across East Anglia, and in London. 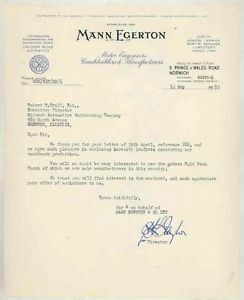 In 1915 the company was requested to build aeroplanes for the war effort. 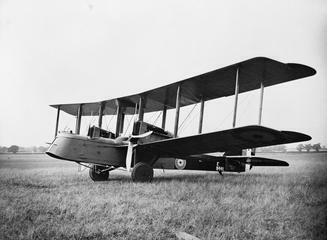 Some were built under licence, including 22 Short Admiralty Type 184s and 20 Short Bombers; later the company produced ten examples of its own Type B, a further development of the Short Type 184. 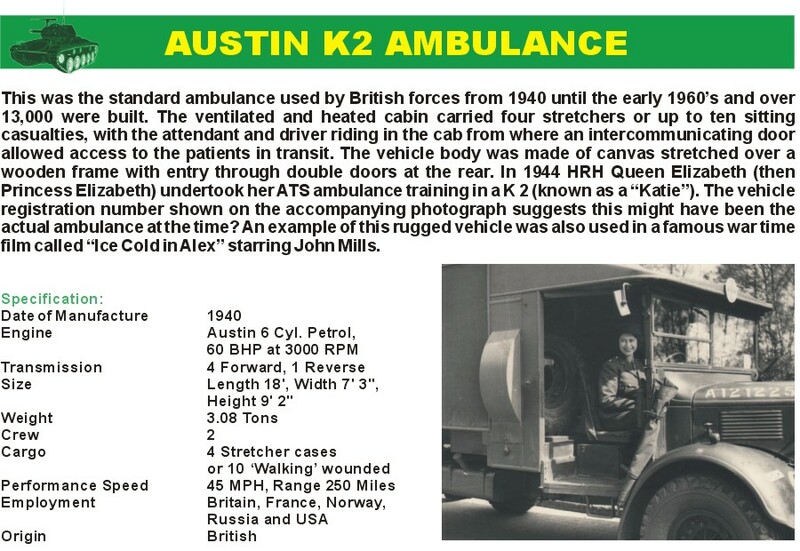 In the Second World War, they built vehicle bodies for the Government especially the Austin K2/Y ambulance. 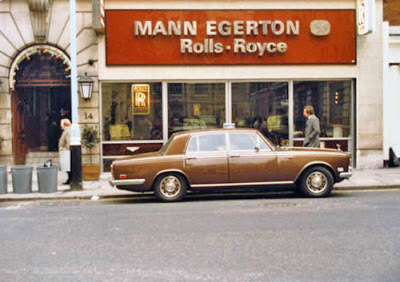 The headquarters were in Prince of Wales Road, Norwich where they had a British Leyland dealership. 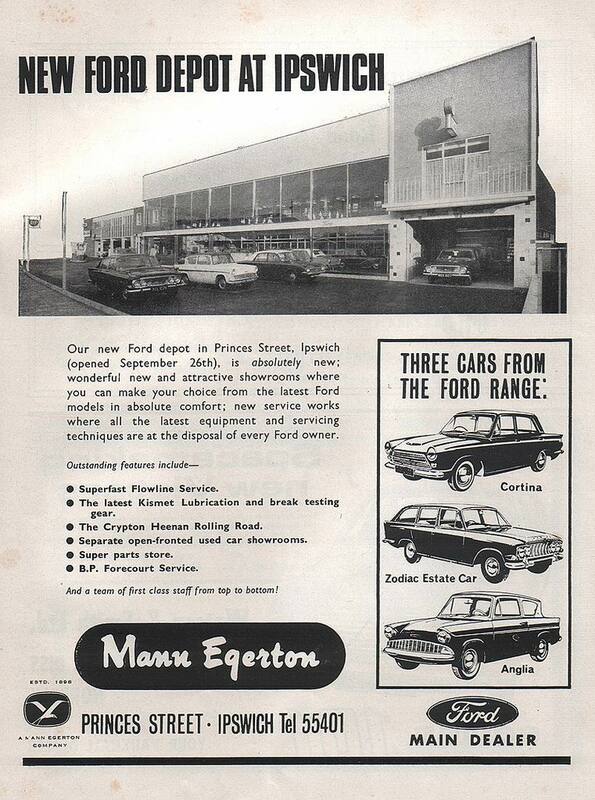 The garage in Surrey Street Norwich had a Ford dealership and commercial vehicles and the woodworking business were run from premises on Cromer Road, Norwich. 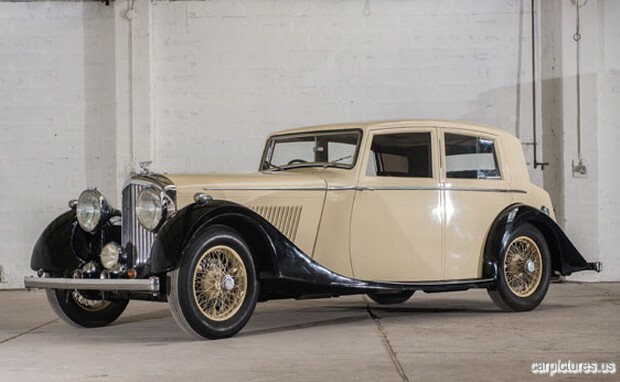 Over the years garages in several other towns were opened or acquired including central London where they sold Rolls Royce and Bentley cars, Finchley, Lowestoft, Uttoxeter, Nottingham (formerley Atkeys), Derby and Worcester. 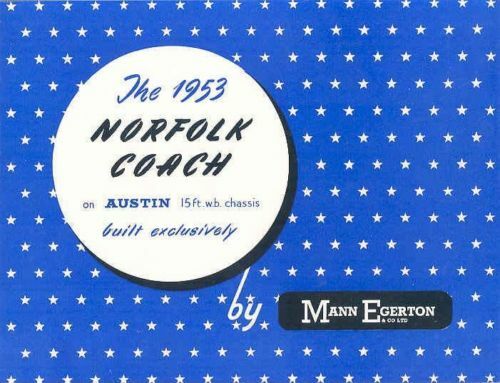 In 1964, the electrical department was sold to the Westinghouse Brake and Signal Company. 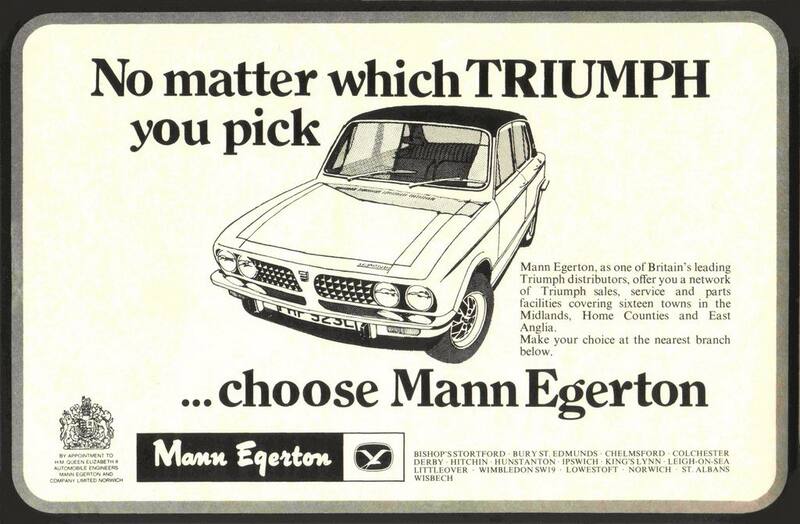 Mann Egerton was acquired by Inchcape plc in 1973 though its woodworking business continued until bought out by the management in 1986. 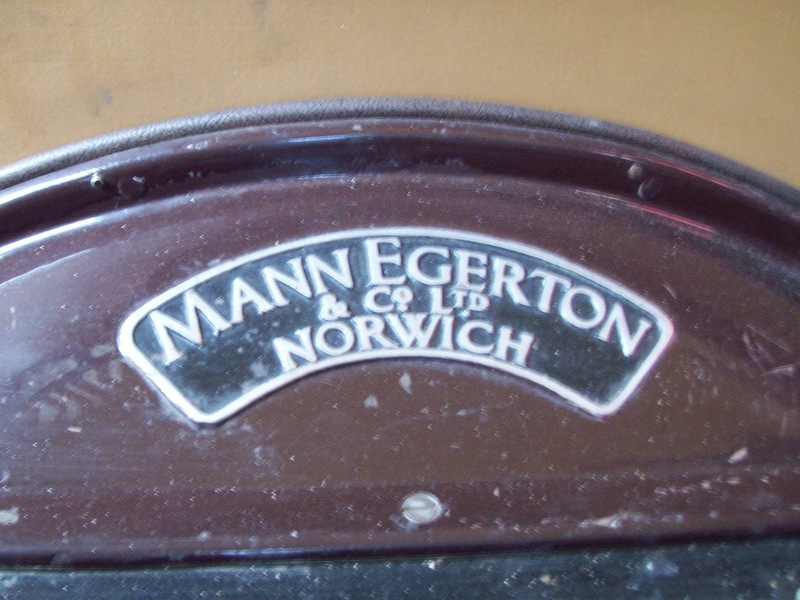 The woodworking business made school furniture. 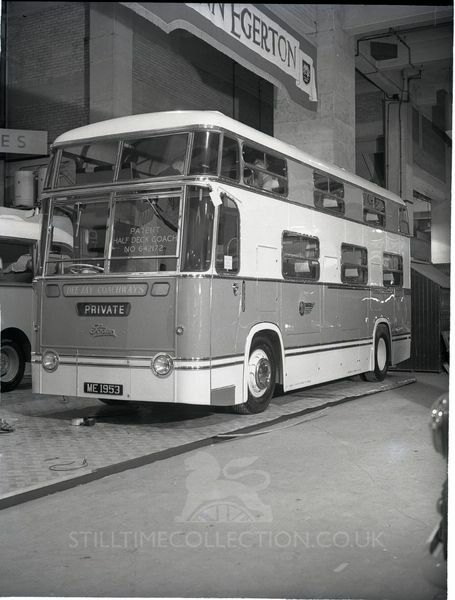 The coachbuilding business made refrigerated vehicles for companies including Findus and BirdsEye among other vehicles and was sold to Bonallock Coachbuilders. 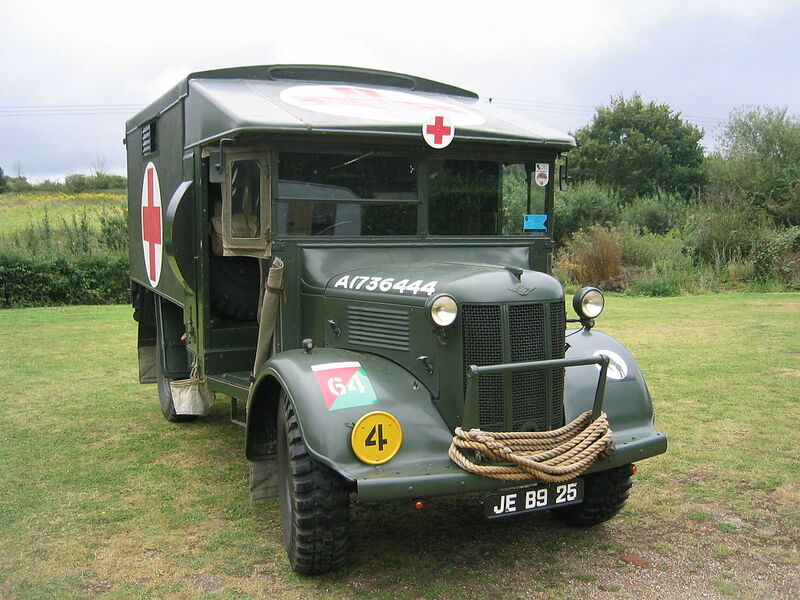 The Austin K2/Y was a British heavy military ambulance used by all services during World War II, built by the Austin Motor Company. 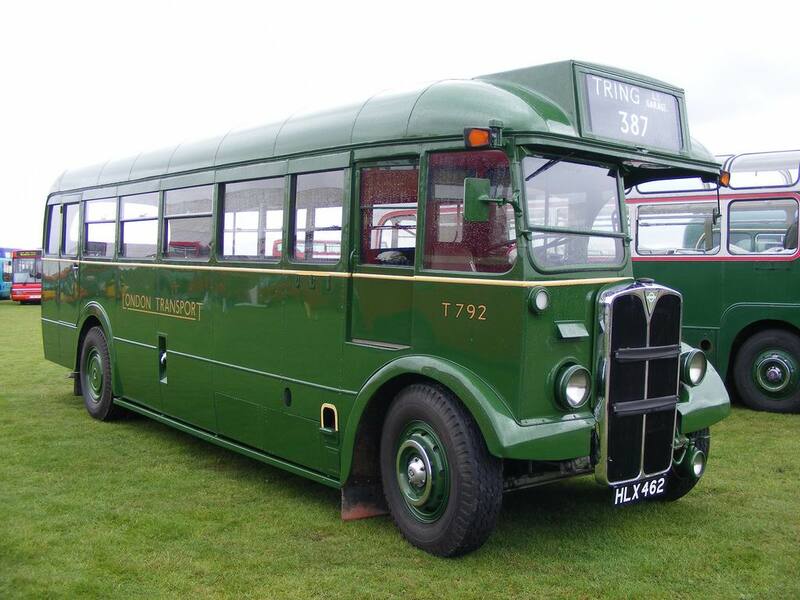 It was based on the civilian light truck Austin K30, with the main difference being the simplified driver’s cab. 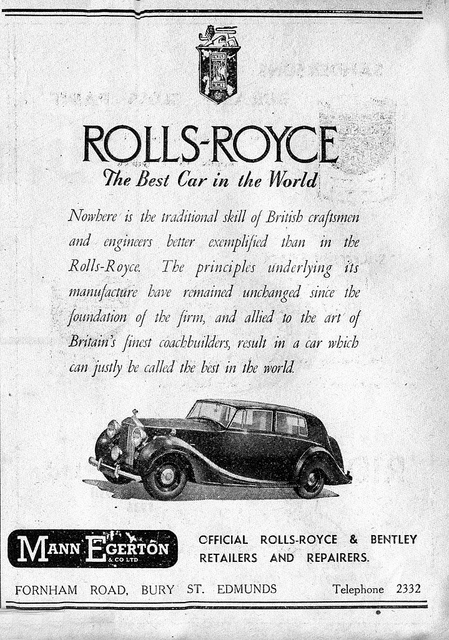 The cab had no doors, it was only protected by canvas. 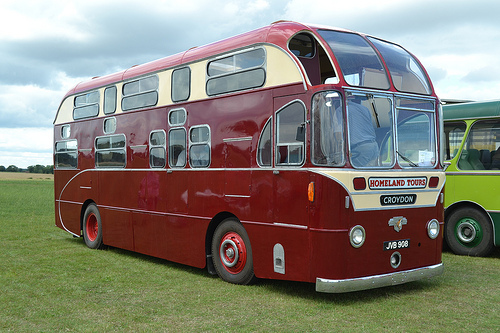 The rear body, known as No. 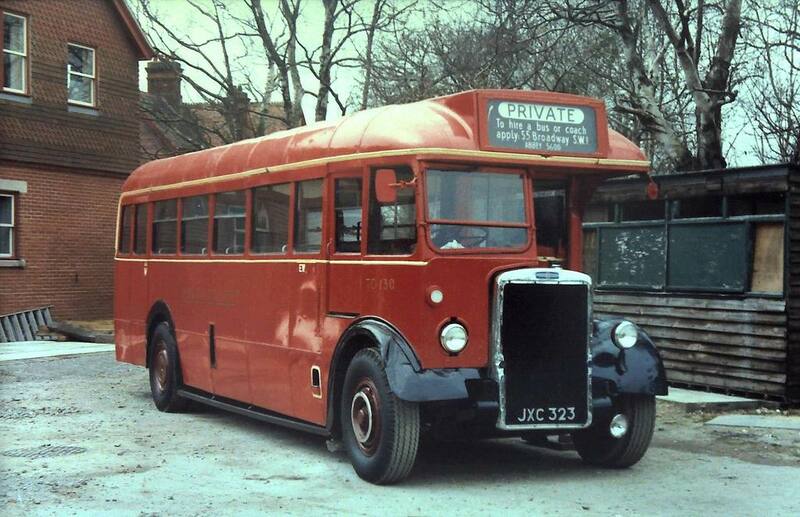 2 Mk I/L was developed by the Royal Army Medical Corps and built bycoachbuilder Mann Egerton. 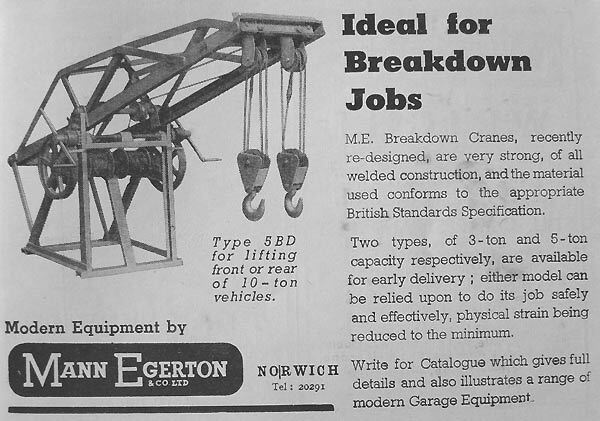 It could take ten casualties sitting or four stretcher cases. 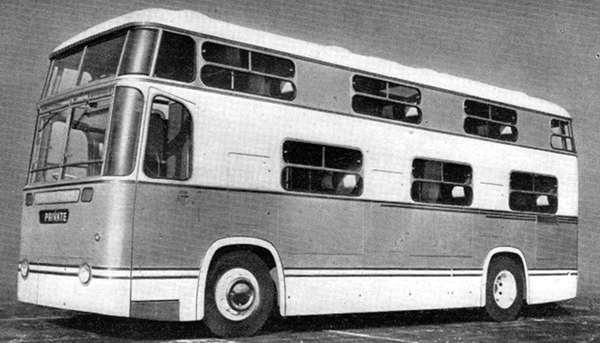 The interior dimensions were approximately 2.6 meters long, 2.0 meters wide and 1.7 meters high. 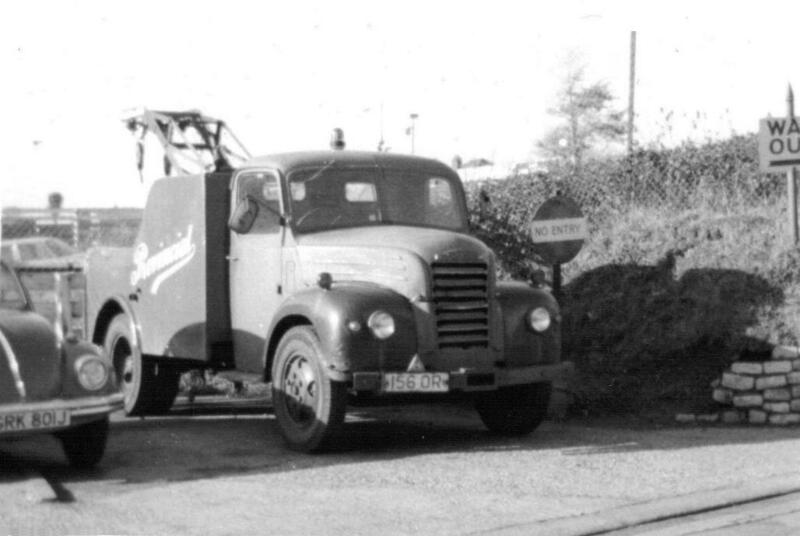 At the rear of the vehicle there were two large doors. 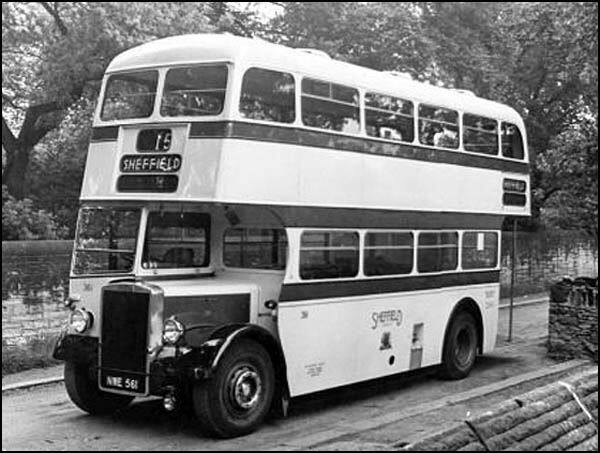 From the driver’s cab the wounded could also be accessed through a small door with a seat. 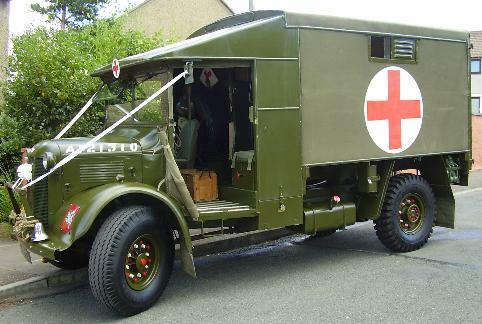 One veteran stated he carried 27 wounded at one point in the North African Campaign; this involved seating passengers on the wings, bonnet, and rear steps and even using rifles to suspend extra stretchers across the walkway in the back; he was mentioned in dispatches for this feat. 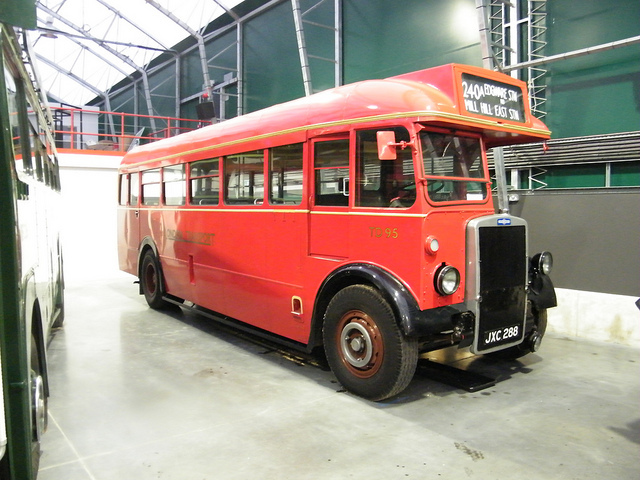 13 102 Austin K2/Y ambulances were built at Austin’s Longbridge plant almost continuously from 1940 until the war ended. An estimated 50 or more remain today. 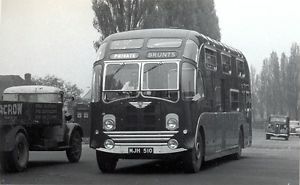 The Austin chassis was one of three main designs fitted with Mann Egerton bodies, the others being Morris Commercial CS11/30F and Bedford ML 54. 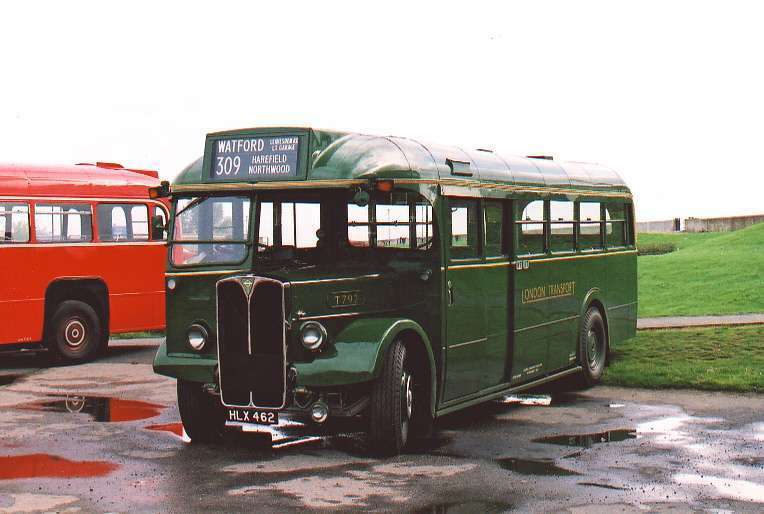 It is estimated there are two remaining Morris Commercials, but no Bedford examples are said to survive. 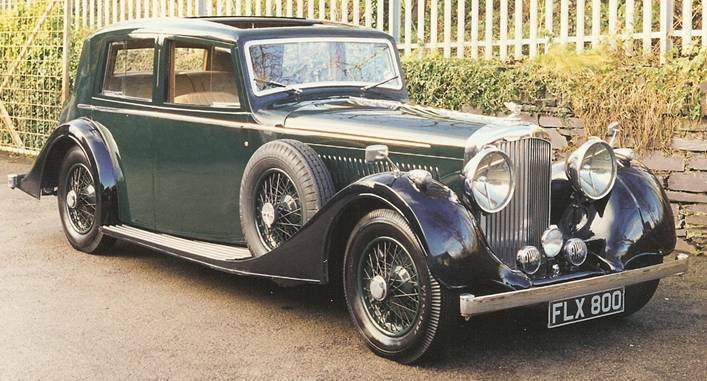 The Austin K2 was generally regarded as having a widely spaced four-speed gearbox that needed to be “understood”, but once mastered provided good service. 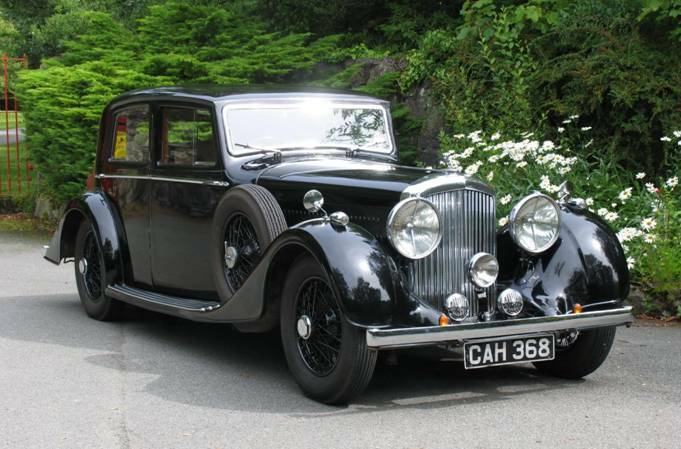 One person who did master it was the then Princess Elizabeth, who drove one during the war. 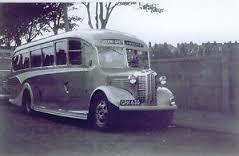 It had two petrol tanks, one on each side (total capacity: approx. 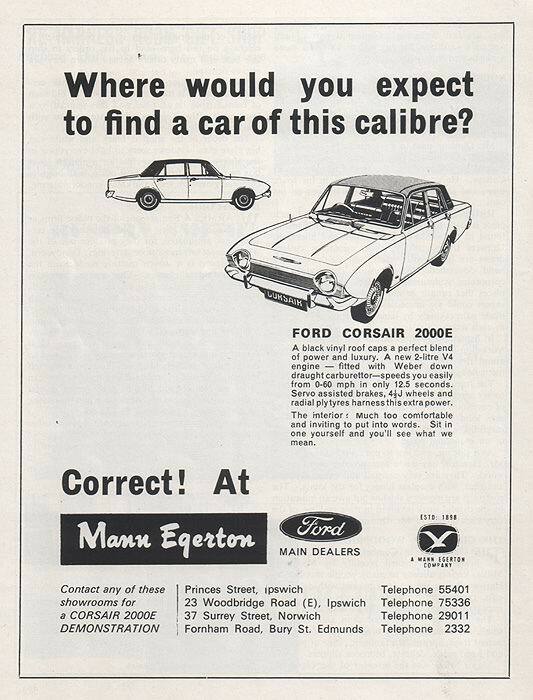 2 × 12 Imperial gallons (2 × 54.5 l)). 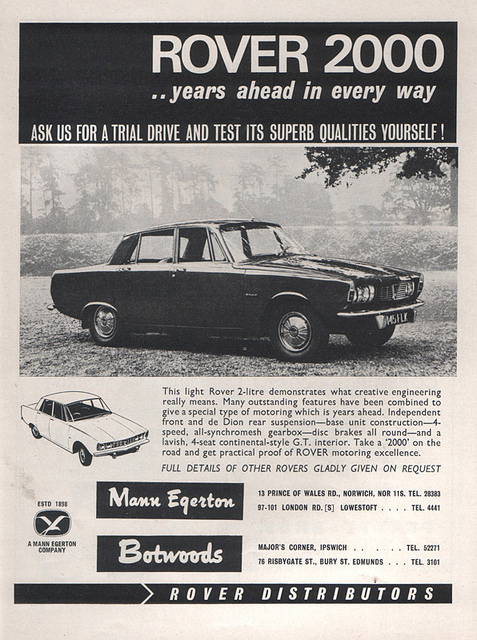 The top speed was around 50 mph (80 km/h). 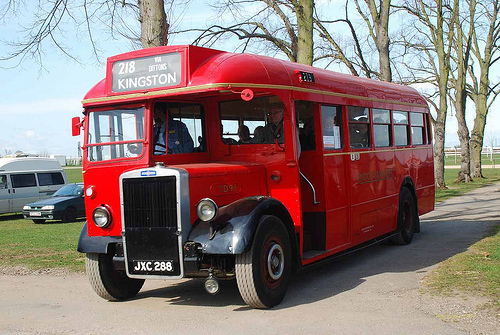 The K2 (KTwo) was often affectionately nicknamed “Katy”. 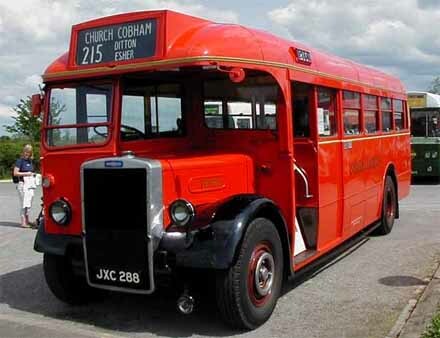 The design was popular with British, Common­wealth and also American troops, being an example of reverse Lend-Lease. 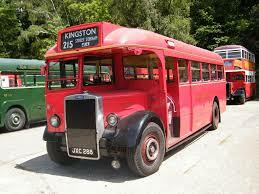 After the end of World War II the K2/Y was also used in the Korean War. 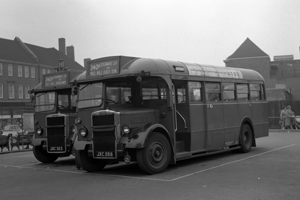 This type of ambulance was the “star” of the film Ice Cold in Alex (1958) featuring John Mills, Sylvia Syms, Anthony Quayle and Harry Andrews. 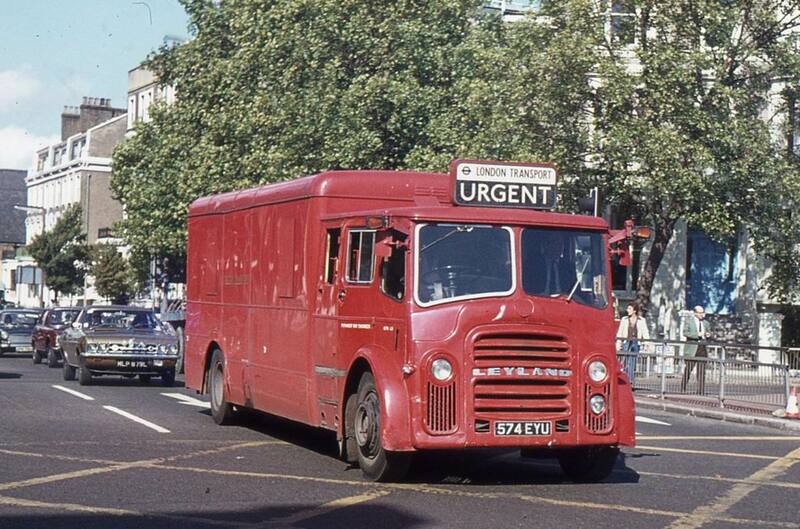 Three Austin K2/Y ambulances participated in the VE-VJ days 50th anniversary parade down the Mall in London on 19 August 1995. 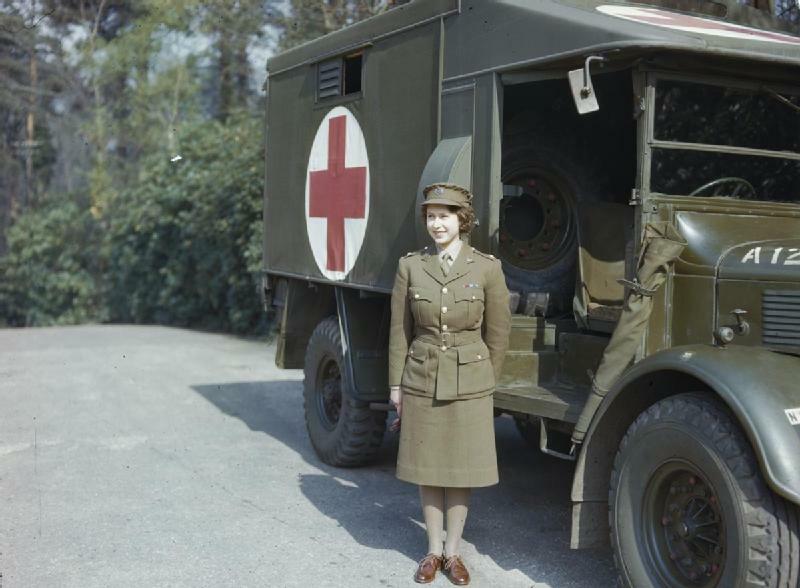 HRH Princess Elizabeth in the Auxiliary Territorial Service (ATS) in front of an Austin K2/Y Ambulance, April 1945. 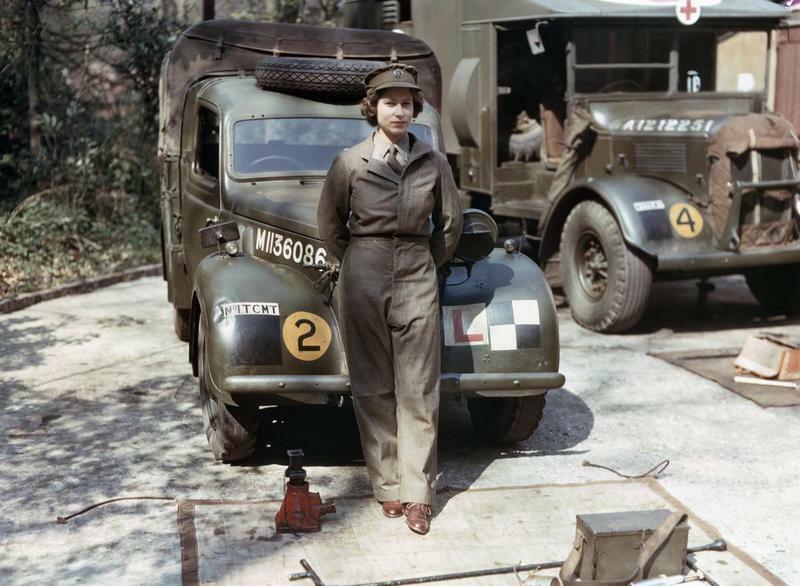 HRH Princess Elizabeth, a 2nd Subaltern in the Auxiliary Territorial Service, wearing overalls and standing in front of an L-plated truck. 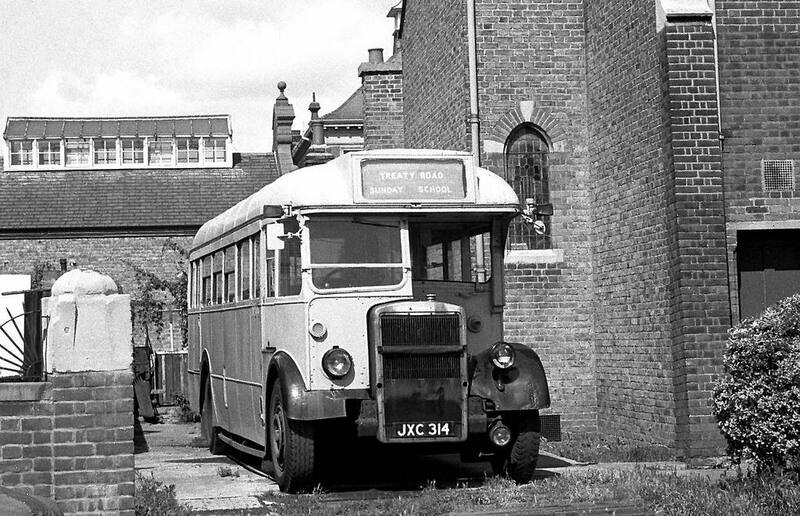 In the background is an Austin K2/Y Ambulance, 1945. 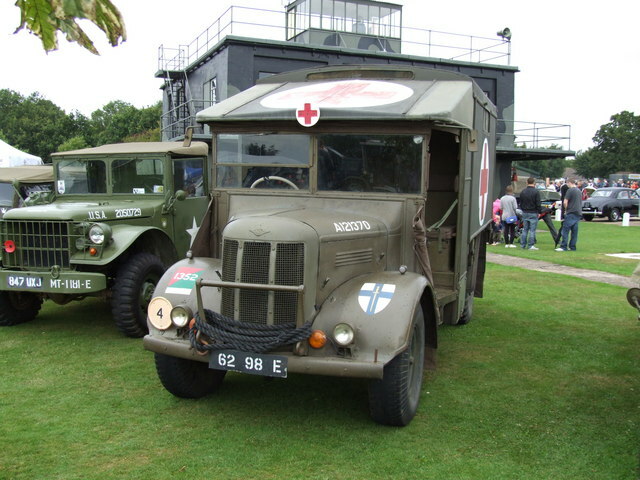 Austin K2/Y Ambulance at the RAFBF 90th Birthday Air Show, East Kirkby, 2009. 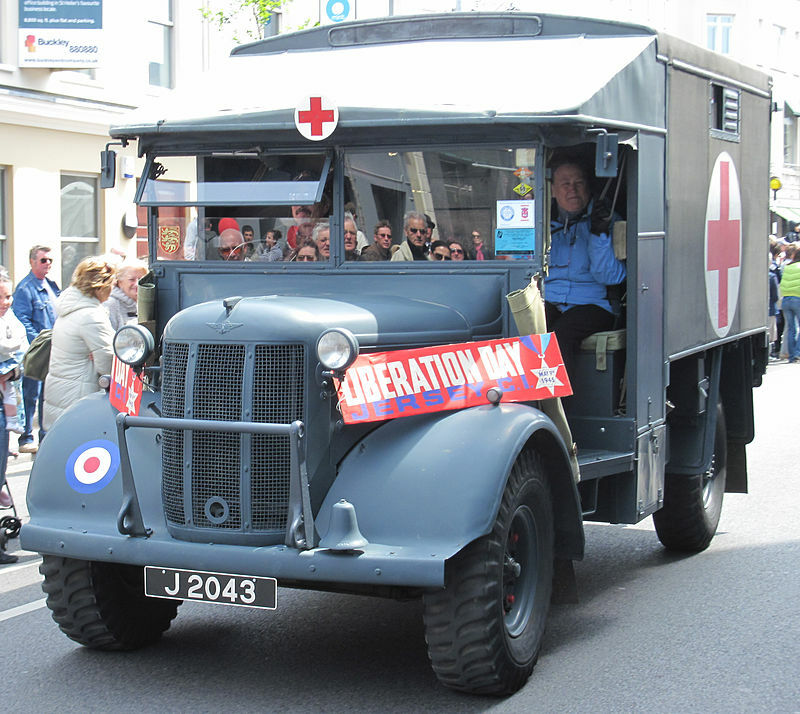 Austin K2/Y Ambulance with bell at Liberation Day, 9 May 2010, Jersey. 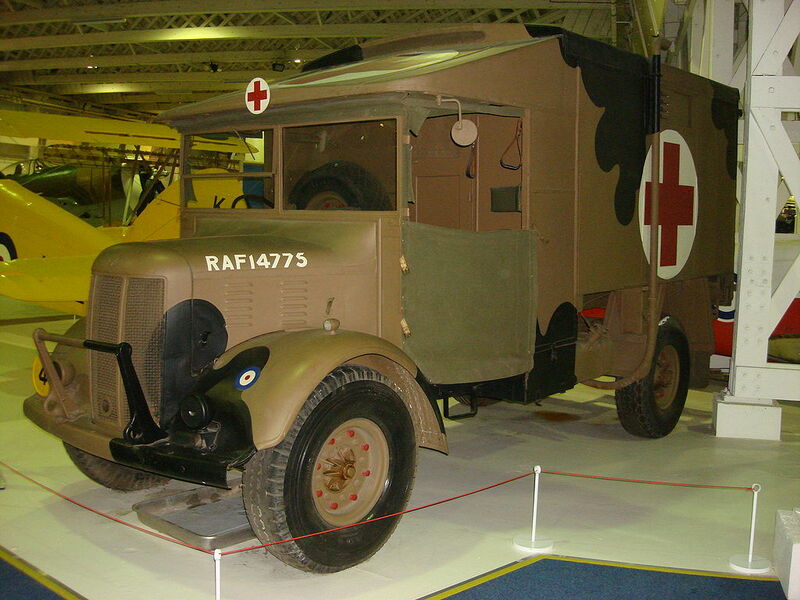 Austin K2/Y Ambulance at the RAF Museum, London. 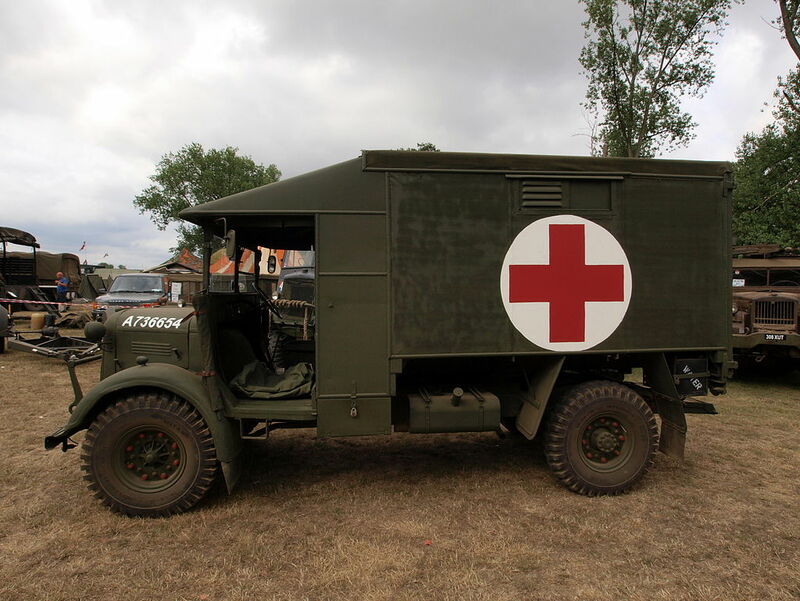 Sideview of an Austin K2/Y Ambulance at the War and Peace show 2010. 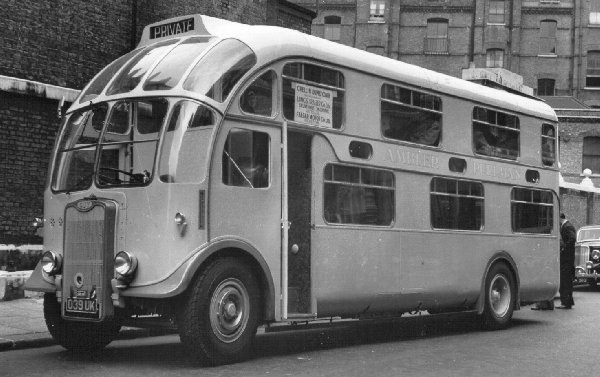 Rear of an Austin K2/Y Ambulance. 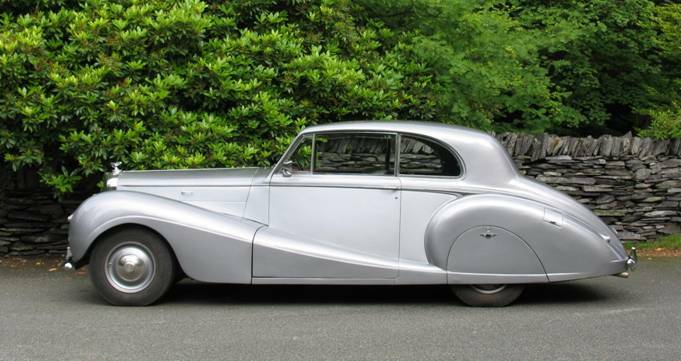 Note the bulge for the spare wheel. 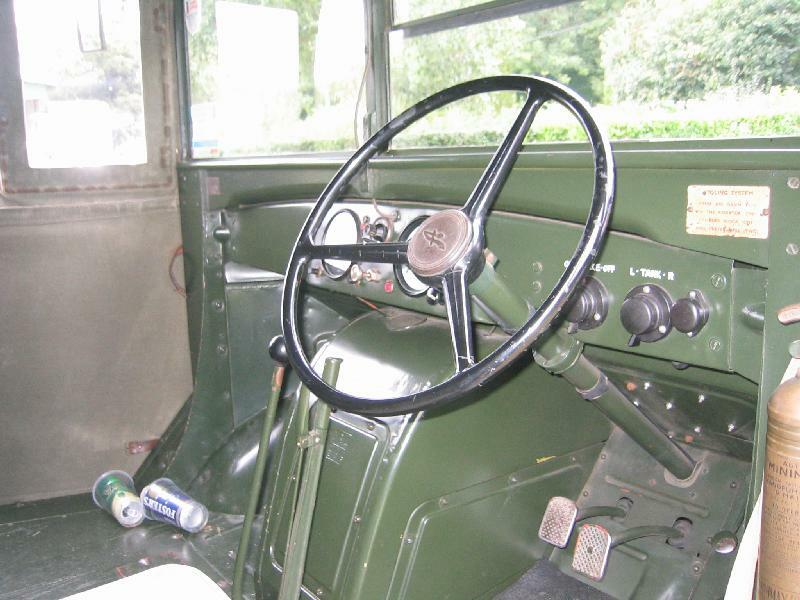 Cab of an Austin K2/Y Ambulance. 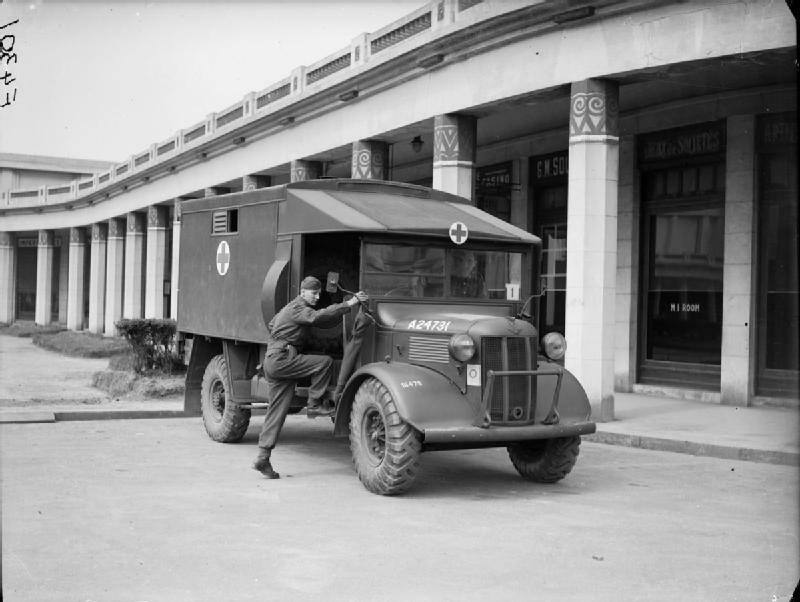 An Austin K2/Y ambulance in France, 9 May 1940. 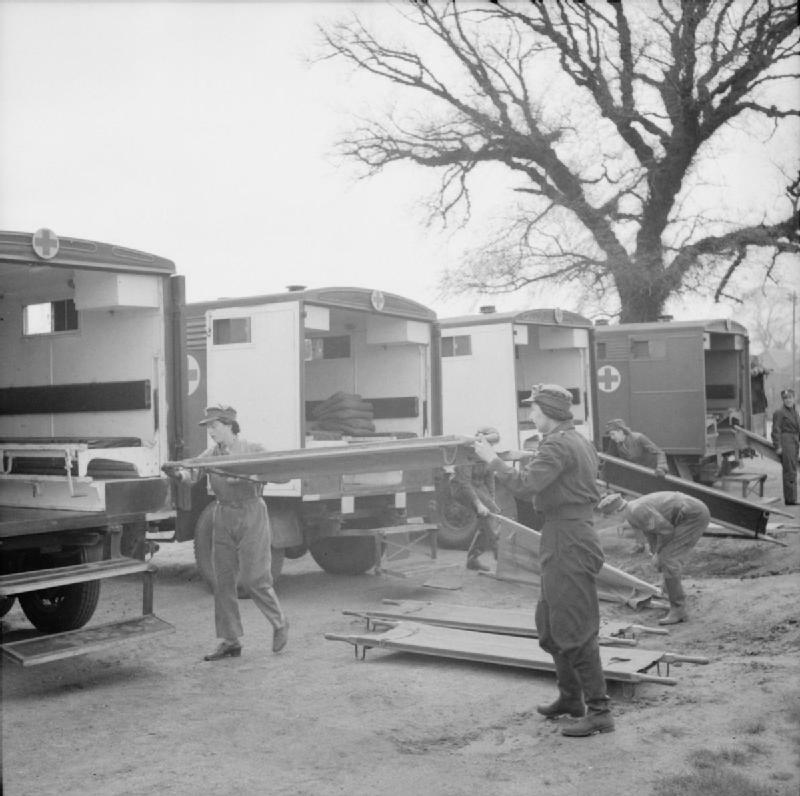 Ambulance crews of the First Aid Nursing Yeomanry (FANYs) stowing stretchers aboard their Austin K2/Y ambulances, Colchester, 3 May 1941. 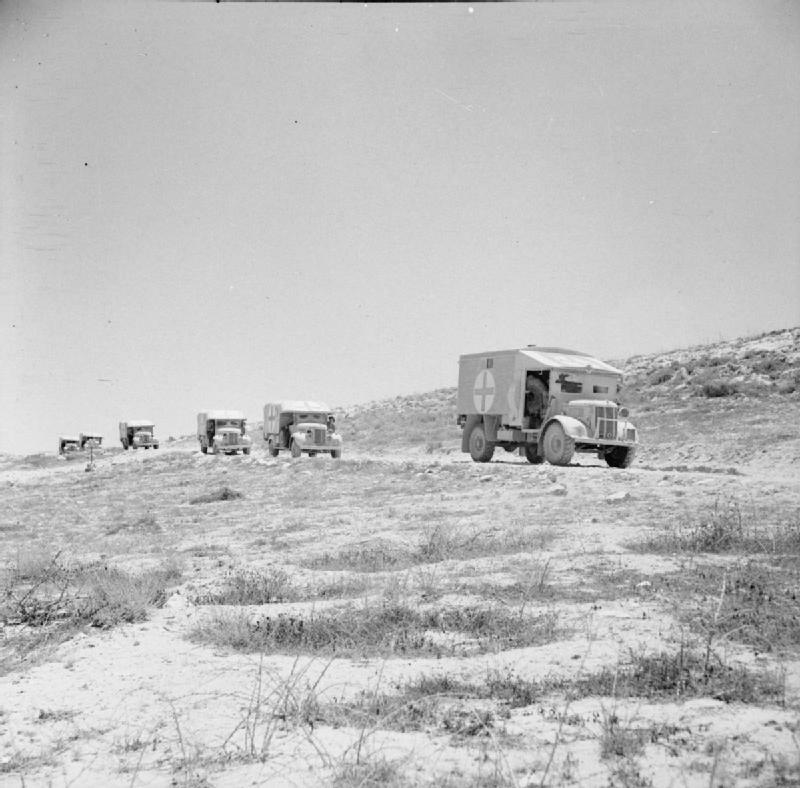 An Austin K2/Y ambulance convoy from the Royal Army Medical Corps moving forwards in the Western Desert, 1940 – 1943. 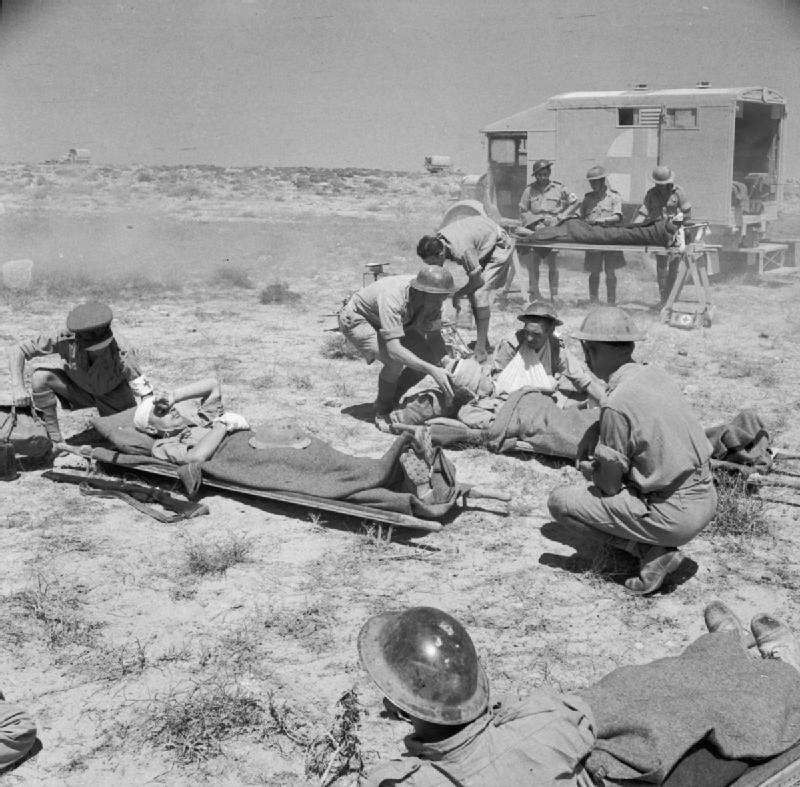 Casualties being tended at a field dressing station in North Africa, June 1942. 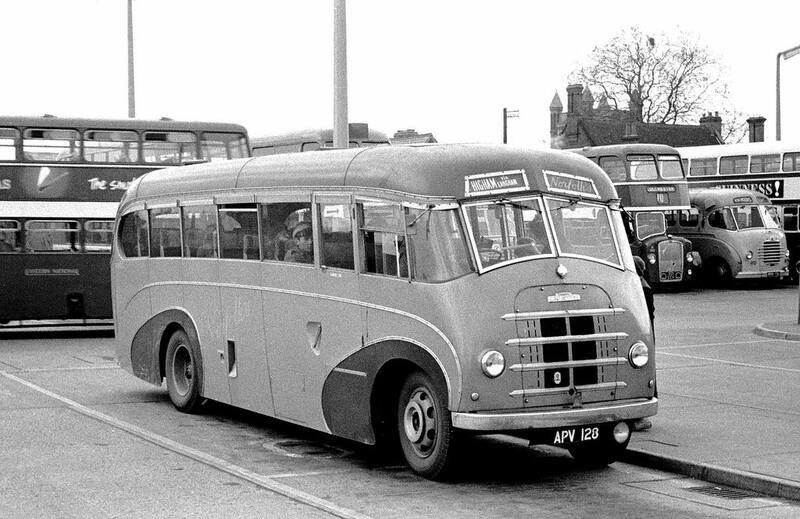 In the back­ground is an Austin K2/Y ambulance. 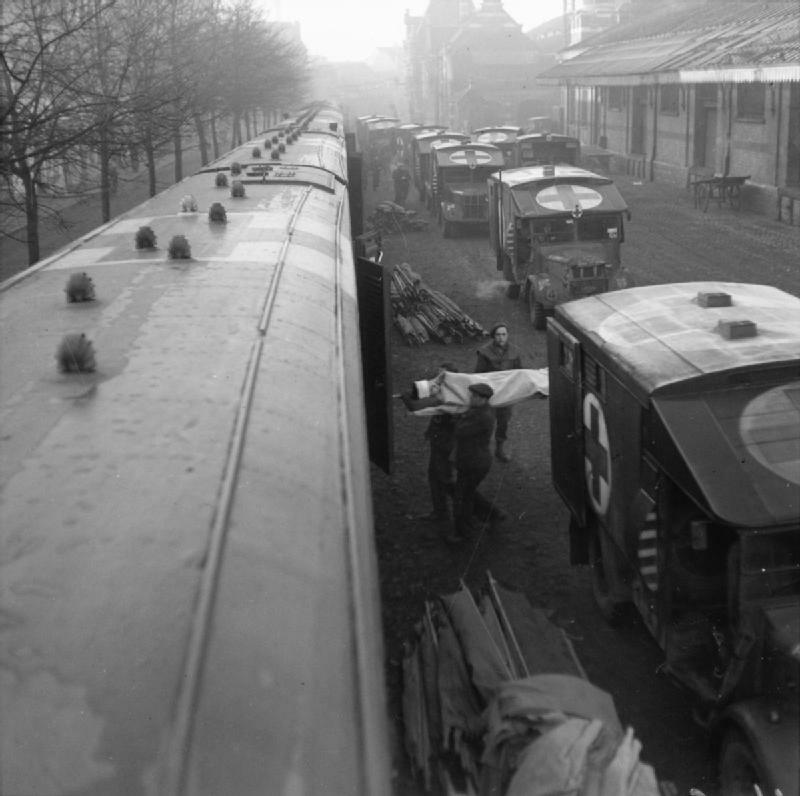 Men wait on and beside their British-made crash tender and an Austin K2/Y ambulance (note the American star), in case of emergency, as aB-17 Flying Fortresslands at an American airfield, some­where inBritain, after a mission over the Ruhr in 1943. 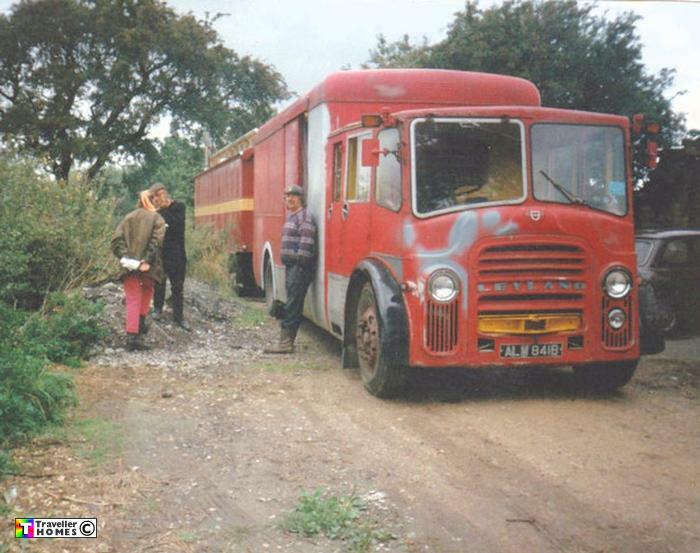 The engines of the trucks are kept running and the men are alert at their posts, ready to move into action. 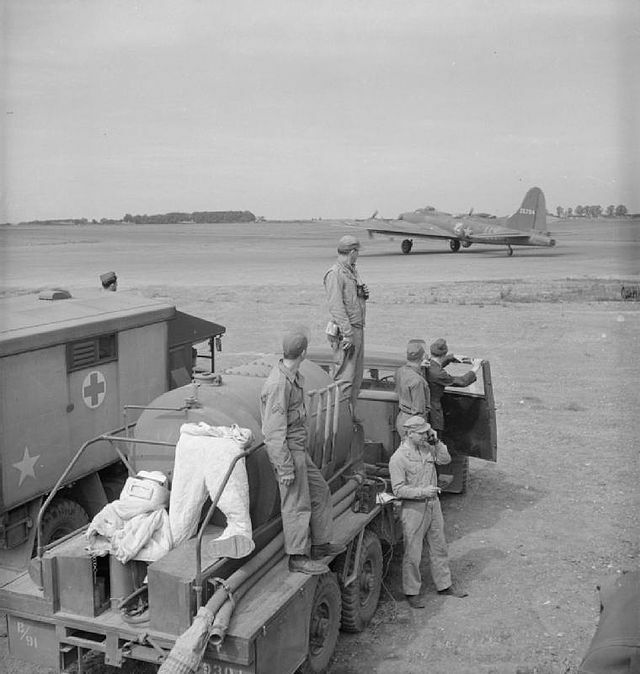 The aircraft features the letters UX, indicating that it is an aircraft of 407 Squadron, 92nd Bombardment Group. 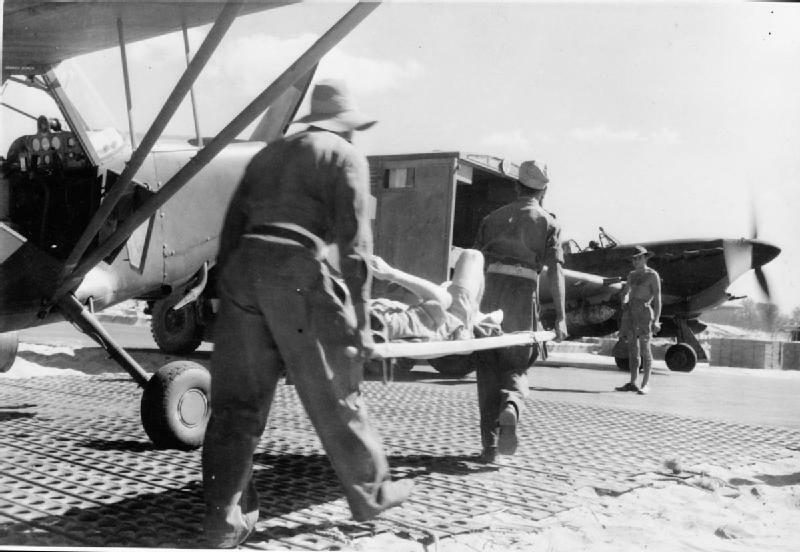 A casualty, evacuated from the front line in the Arakan, Burma, by a Vultee Stinson L-5 Sentinel (left), is transferred to a waiting Austin K2/Y ambulance on arrival at a base station 1943 – 1944. 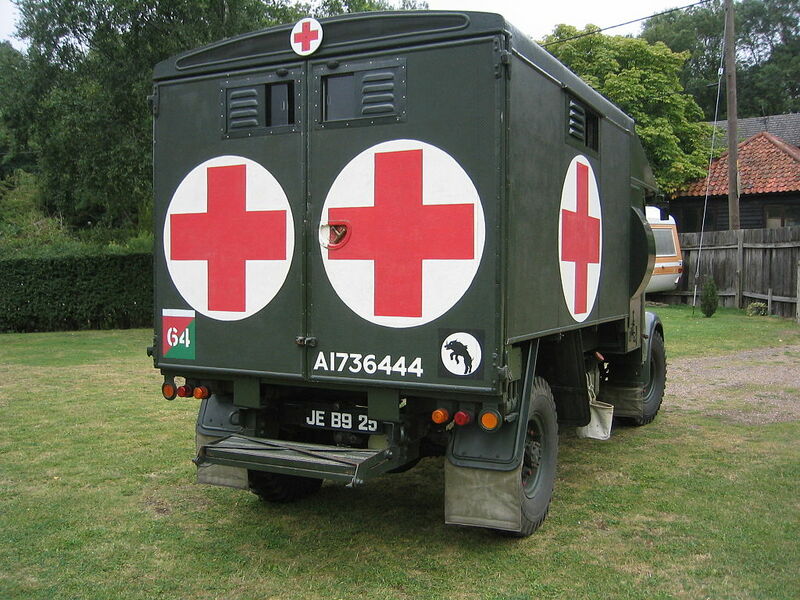 Behind the ambulance, a Hawker Hurricane runs up its engine. 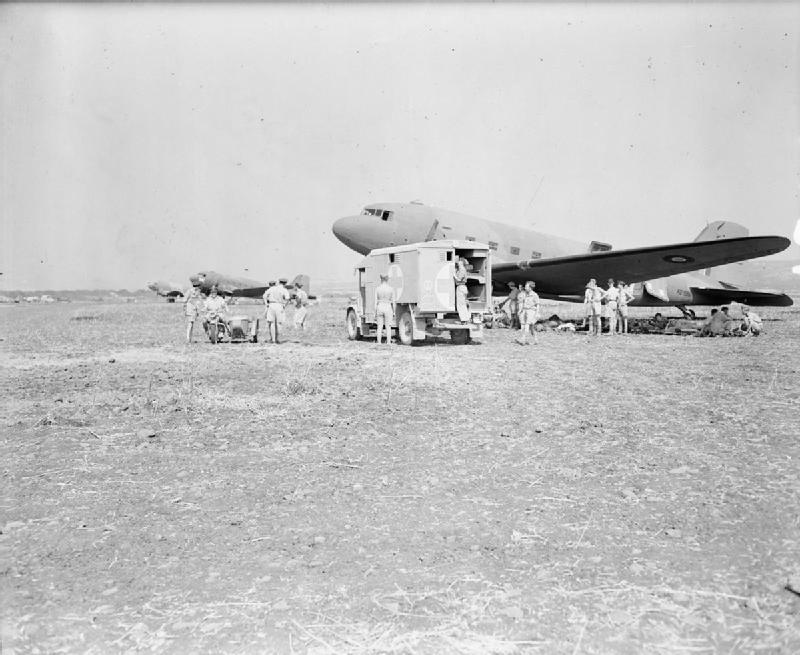 A British Army Austin K2/Y ambulance pulls up in front of a line of Douglas Dakota Mark IIIs at Catania, Sicily, between 1942 and 1945. 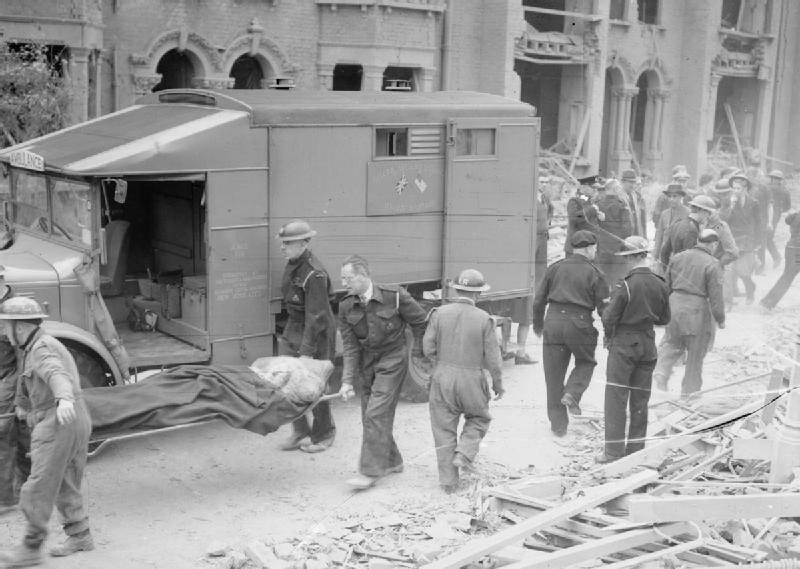 A casualty is carried by Civil Defence stretcher-bearers past an Austin K2/Y ambulance of theAmerican Ambulances in Great Britain following a devastating V-1 flying bomb attack in the Highland Road and Lunham Road area of Upper Norwood, London SE19, 1944. 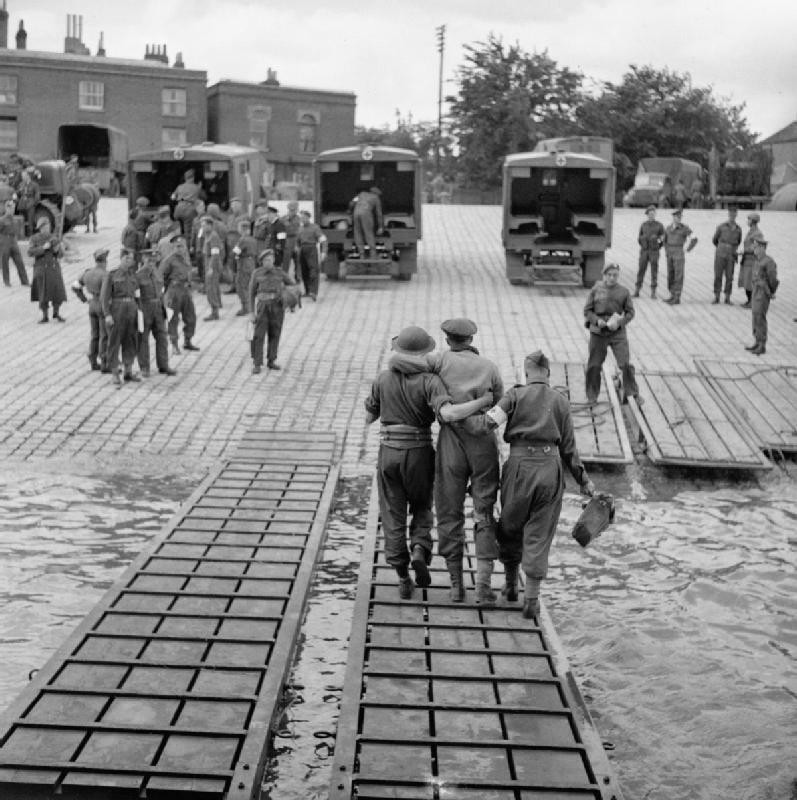 Wounded soldier being assisted to an awaiting Austin K2/Y ambulance from an (unseen) LST (Landing Ship, Tank) at Hardway, Gosport. 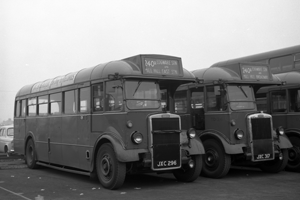 These were some of the first casualties to arrive back from the invasion of Europe in June 1944. 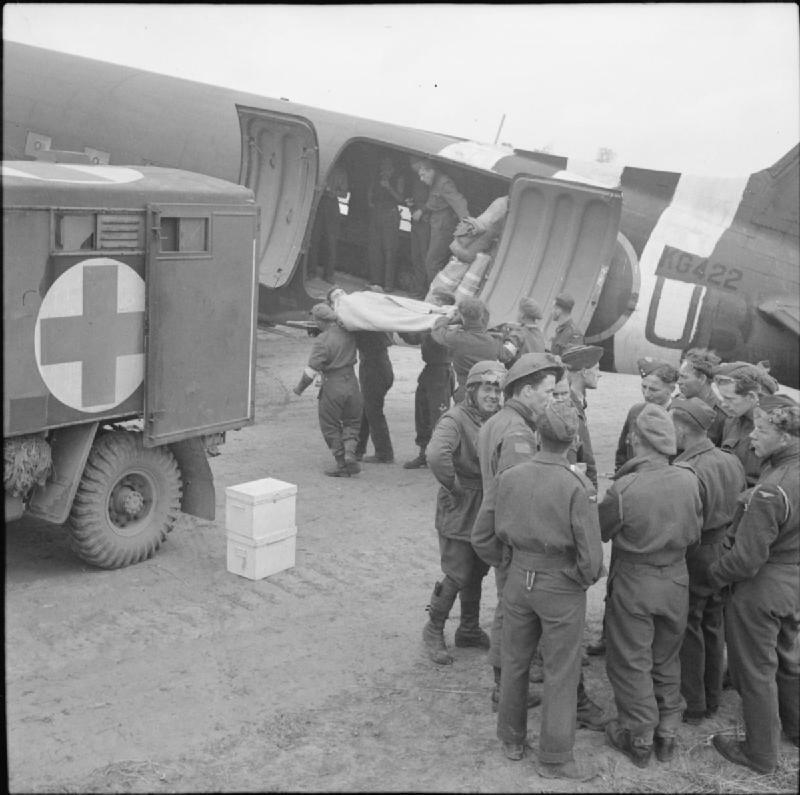 Casualties being evacuated back to Britainon an RAF Dakota during the Normandy Campaign, 10 July 1944. 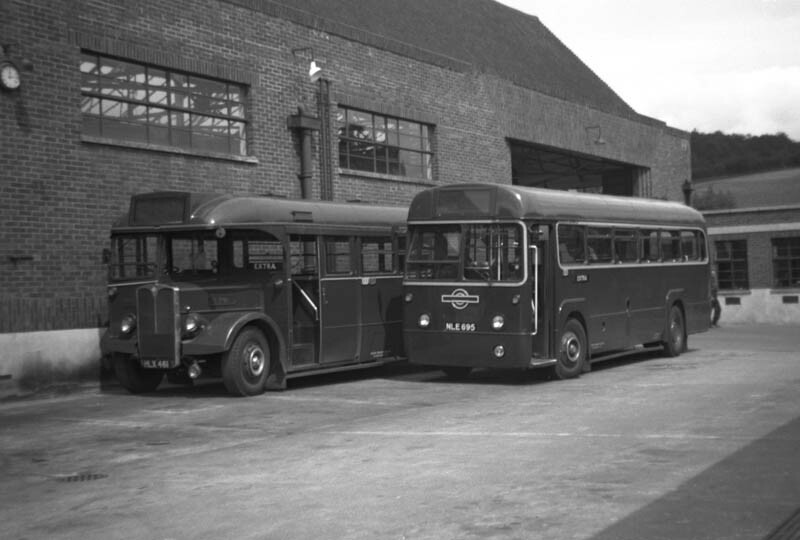 To the left is an Austin K2/Y ambulance. 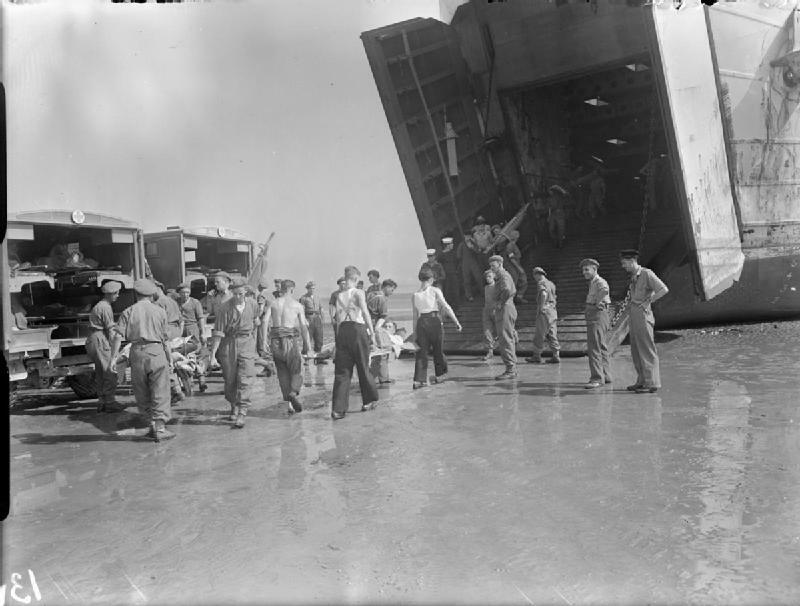 Wounded men being transferred from parked Austin K2/Y ambulances to Hospital Tank Landing Ship LST 428 at low tide through the bow doors. 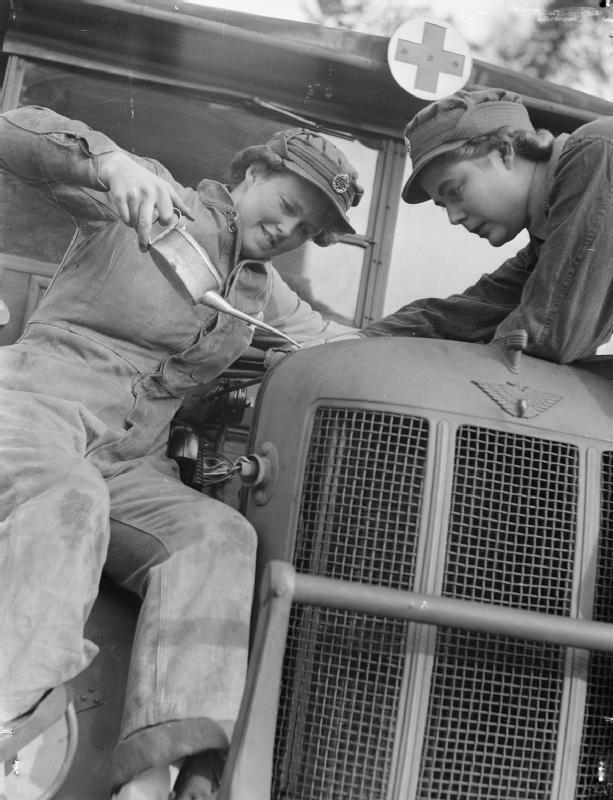 She is helping to transport casualties, including enemy wounded from Courseulles-sur-Mer, France to the United Kingdom, August 1944. 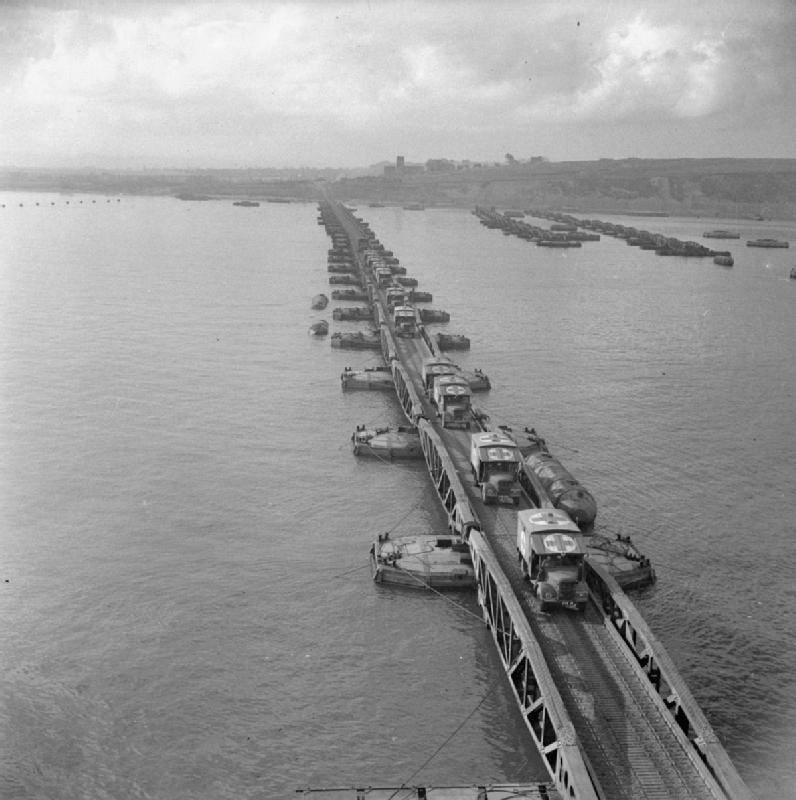 Austin K2/Y ambulances driving towards the pierhead at the Mulberry artificial harbor at Arromanches-les-Bains, September 1944. 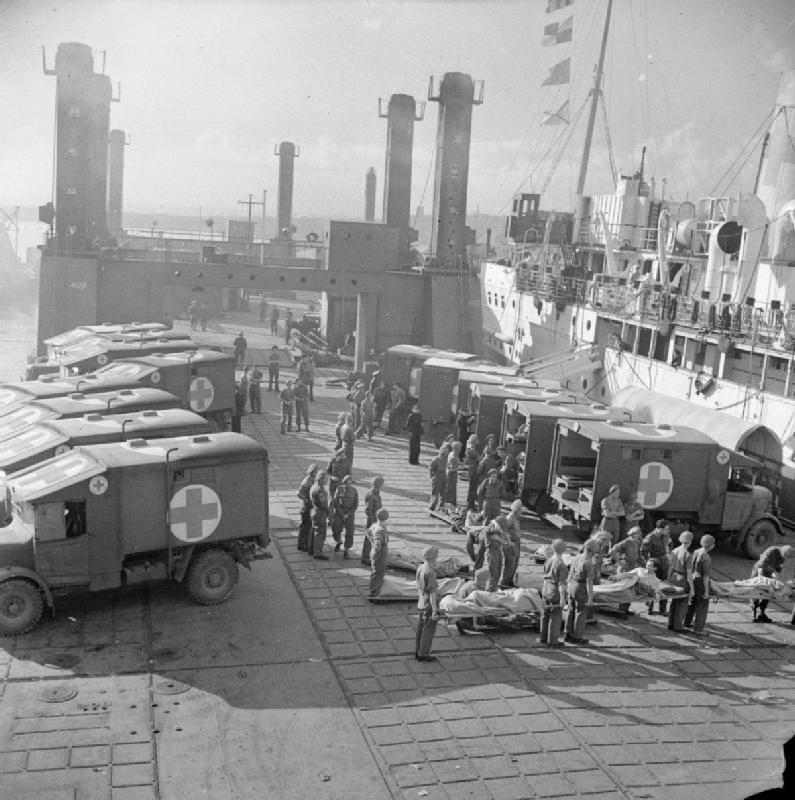 Wounded being transferred from Austin K2/Y ambulances to a hospital ship at the Mulberry artificial harbour at Arromanches-les-Bains, September 1944. 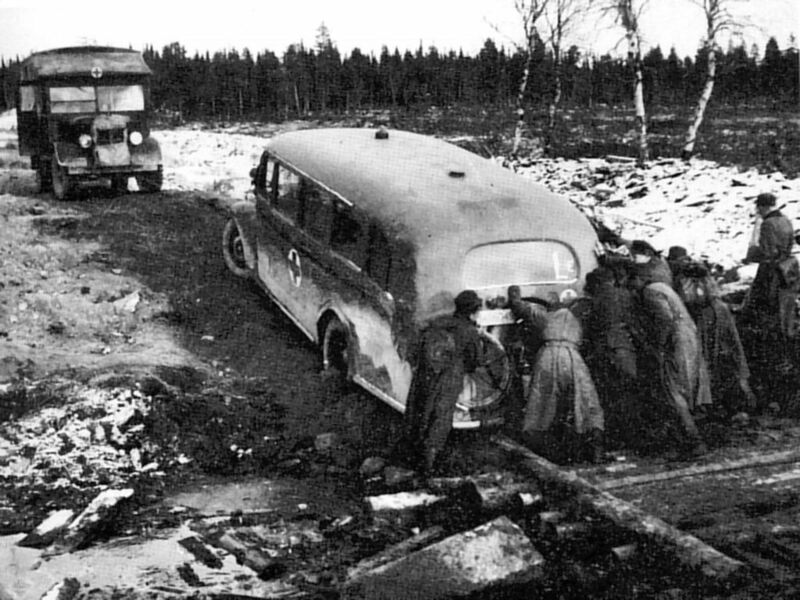 Finnish ambulances (the one in the upper left corner is an Austin K2/Y) on a Petsamo road crossing a crater blown by retreating Germans during the Lapland War, October – November 1944. 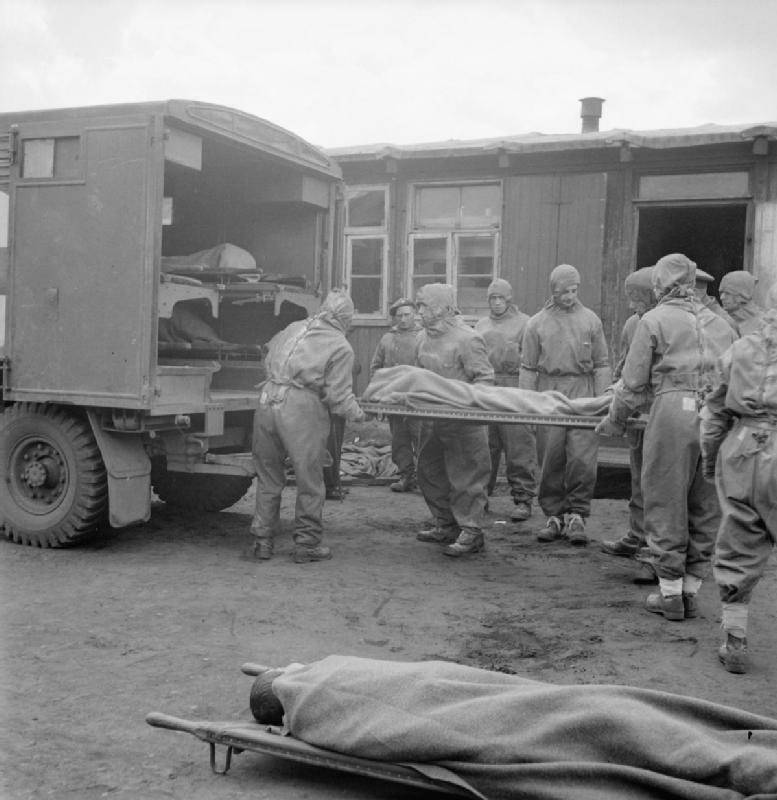 Men of 11 Light Field Ambulance, Royal Army Medical Corps, wearing protective clothing, using an Austin K2/Y ambulance to evacuate an inmate suffering from typhus from Bergen-Belsen concentration camp No 1. 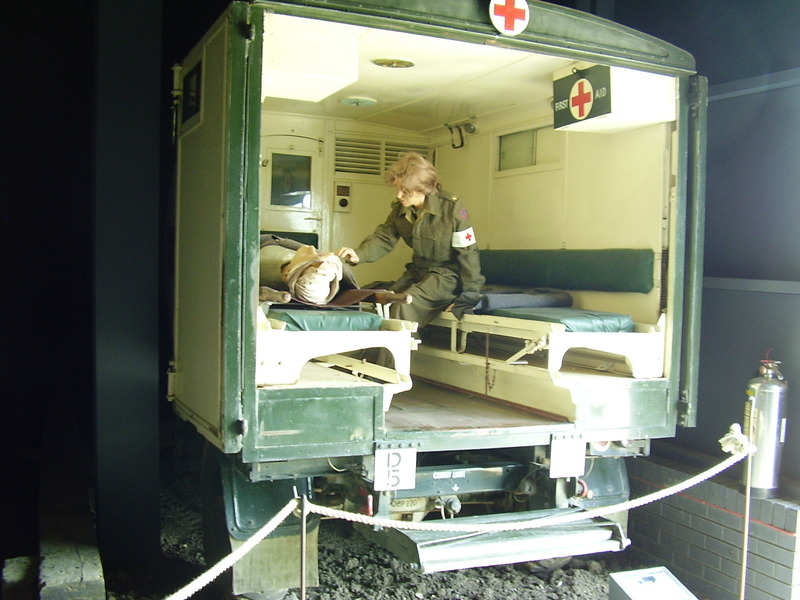 By 2 May 1945, 6 500 of the sick had been evacuated to hospital. 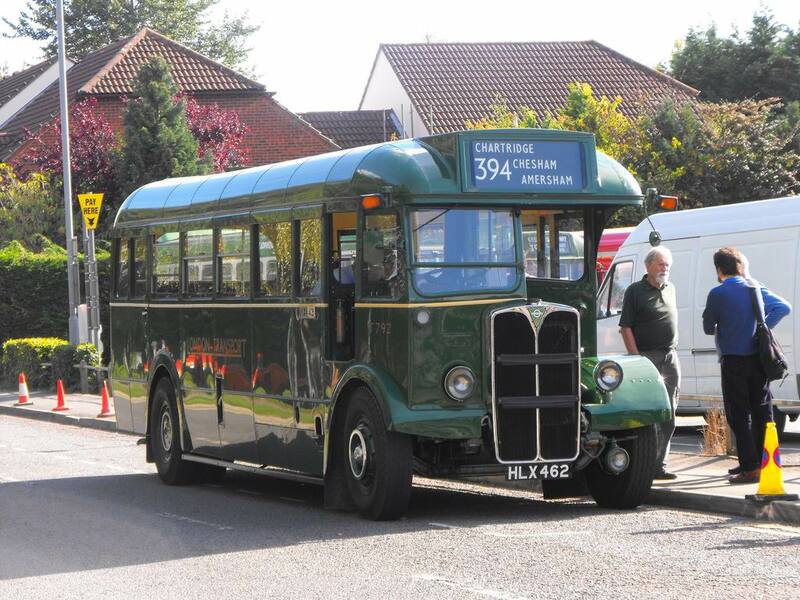 Very interesting page about a local business now sadly gone. 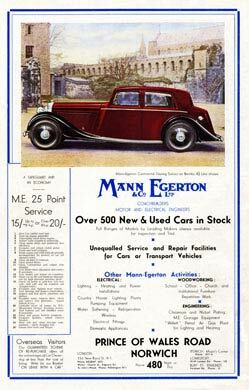 With reference to your 1950 Leyland Mann Egerton 039-UK image. 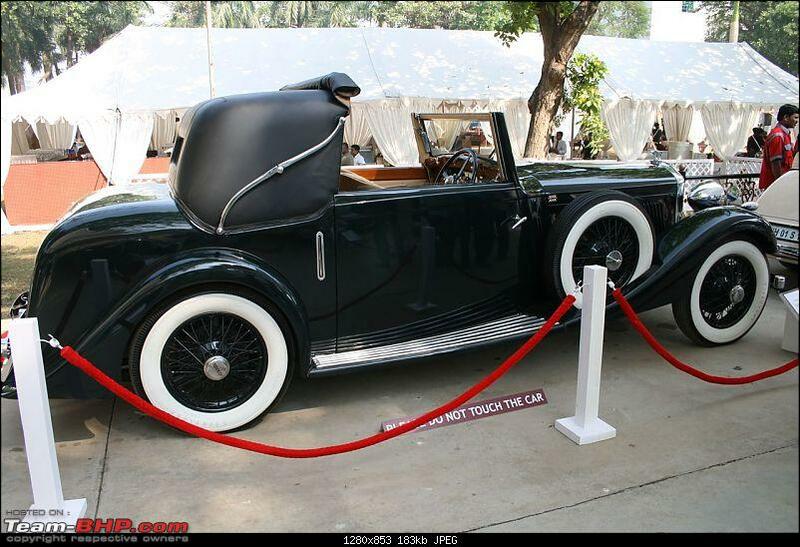 I think you will find it is a Guy Arab chassis. 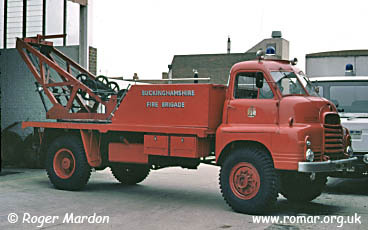 Thank you for submitting the images. 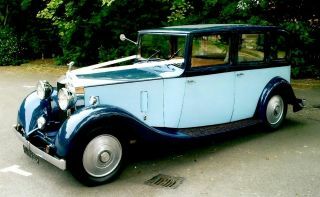 I have recently acquired a 1929 Austin 12/4 with a Coupe body by Mann and Overton. 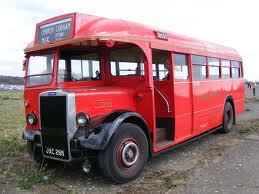 Never seen one before and mine needs a lot of TLC. 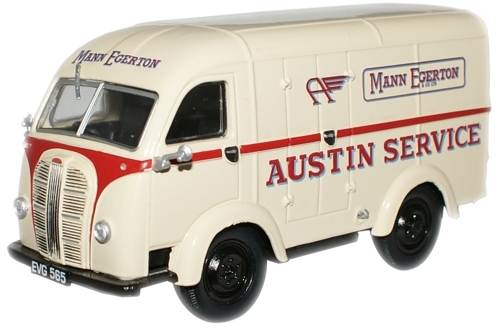 Have you any pictures of M & O Austins? 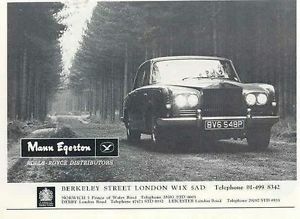 I can send you pictures of mine, but nowhere on here to do it. 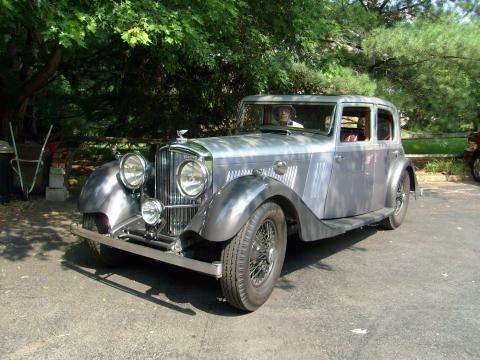 I have recently aquired a 1929 Austin 12/4 Coupe with body by M & O. 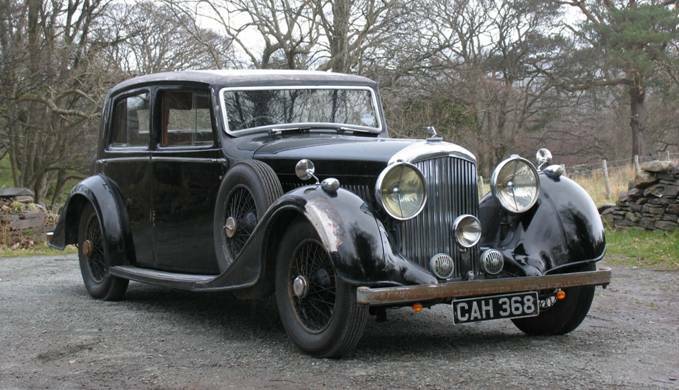 This is the only one known of and I wondered if you have any pictures of M & O Austins cars. 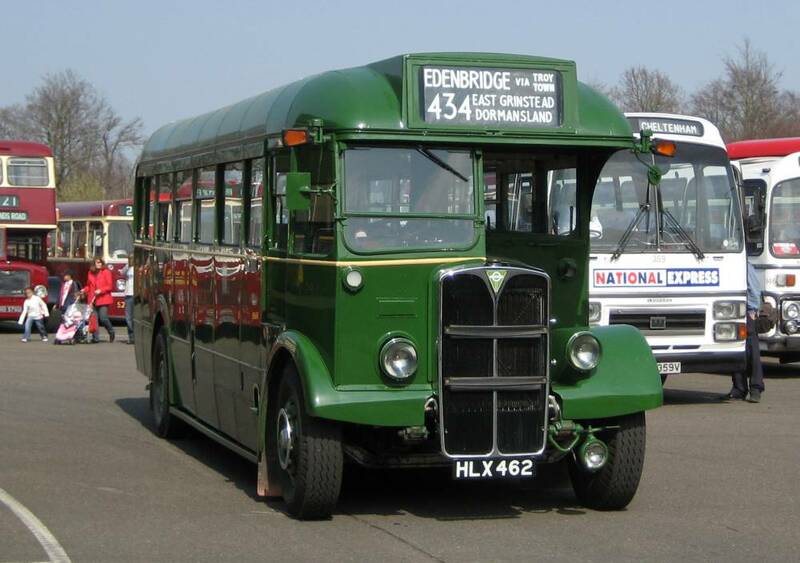 I have pictures of mine but there is no where to post it on here. 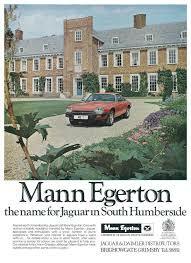 Hello Paul, you can send the pictures to jerroenheetkamp@yahoo.com. Thank you and greetings from the Netherlands.